Magnus Anderson Hardwood Flooring in Boulder, Colorado has been locally owned and operated since January 2006. The company’s President and Master Craftsman, Bob Hagen, was born and raised in Boulder. 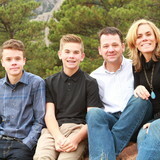 Bob is a Fairview High School and University of Colorado graduate, a National Wood Flooring Association member, and a certified wood flooring craftsman from the Magnus Anderson Institute. 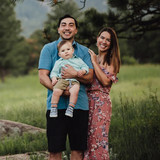 Bob and his wife chose to raise their two children and start their wood flooring business in Boulder, the town they love and know so well. Bob’s wife Kathy was also born and raised in Boulder and graduated from Fairview and CU. She received her Master of Business Administration from the University of Phoenix. Kathy’s father has owned McDonald Carpet One in Boulder for over 15 years, so the flooring business has been part of her life for a long time. Magnus Anderson’s hardwood flooring craftsmen have many years of experience in hardwood installation, repair, and refinishing. All our craftsmen are highly trained experts in their craft and stay up to date on all the latest technology and techniques in hardwood flooring. From the start, we have been dedicated to exceeding customers’ expectations in their wood flooring projects. Through our professionalism, knowledge, and craftsmanship, we are committed to giving our customers the best experience and results. Are you uneasy about starting a big wood-flooring project? Historically, wood floor refinishing was messy and inconvenient—just think dust, dust, and more dust! It doesn’t have to be that way though. We, at Magnus Anderson, want to take much of the inconvenience out of your flooring project. Our dust containment system uses a high-powered vacuum that removes the wood dust from your home. The dust is collected in a trailer parked outside your home, providing you with beautiful hardwood floors without the mess. You won’t even be able to smell wood dust in your home after we’ve refinished your floors! Our expert installers install any kind of wood, bamboo, pre-finished or laminate product, and can create innovative designs that compliment your home. We can transform your stairs and any area of your home with beautiful wood. Denver's Premium Flooring Designs & Solutions Best of Houzz 4x! Berlin Flooring is a hardwood flooring company in Boulder, Colorado. We have provided wood floor installation and refinishing since 1953. Our craftsmen pride themselves on the quality of their workmanship and high level of customer service. We are honest and objective when advising our customers on what products and services are recommended for their wood floors to ensure they receive the highest quality and value. We guide you through the process of properly designing, installing, sanding and finishing a beautiful hardwood floor. Einar Berlin founded Berlin Flooring in 1953, and his son, Steve Berlin, took over the company in 1991 and still runs the company today. All employees at Berlin Flooring have been with the company for at least 12 years. Our consistency sets us apart from other companies in the area. We do not hire a bunch of new, inexperienced employees when we get busy and we are not a large company running several crews. We are a small company by choice which enables us to maintain our high standards. Our estimator, Scott Tarpinian, is a Certified Sales Advisor through the National Wood Flooring Association (NWFA) Certified Professionals program. NWFA certified status validates his knowledge of wood flooring properties, recommending the right product for the job, and troubleshooting installation, sanding, and finishing issues. He attended the NWFA Installation, Sand and Finish school in 2004, and continues his education by attending the yearly NWFA education conference and trade expo to stay up to date on the latest products and techniques in the hardwood flooring industry. Stuga imports and sells magnificent floors, handpicked from one of the oldest manufacturers of hardwood flooring in the world. We deal in hardwoods manufactured by Kährs, a world-renowned Swedish manufacturer who invented the multi-layer floating hardwood floor in 1941. Kährs is widely considered to be the standard in hardwood flooring, known for innovations in design, quality, and sustainable manufacturing. In 1984, they introduced the first solvent-free finish. Kährs products exceed both California CARB2 and European standards for toxic emissions in adhesives and finishes. The idea for Scandinavian Hardwoods came after years of countless conversations with homeowners, designers, architects, and builders. The consistent theme: they wanted more than just a beautiful floor. They wanted insight into manufacturing locations (not just the seller or importer) and what materials are used and why. They wanted to understand the product’s environmental impact and it’s effect on indoor air quality and human health. They wanted a compelling story to tell guests about the beautiful floor they’ve chosen. At Scandinavian Hardwoods, we bring all of these elements together while making luxury more accessible. Our customers enjoy technically superior, custom wood floors installed and/or refinished by Denver's only Nationally Certified Wood Floor Advanced Master Craftsman. There are contractors who can make your floors look good on day one; we make your floors look beautiful for years to come. Floor Crafters Hardwood Floor Company is one of the longest standing wood flooring companies in and around Boulder County serving our customers 50 miles in every direction. With our fleet of 10 vehicles we are able to meet the demands put on us by homeowners, contractors and business owners alike. Our philosophy is simple, provide excellent customer service and furnish a quality product installed and finished by some of the best craftsmen in the business. Our ethos revolves around GREAT all round service, communication and creating the right first impression. No matter how well the job is done, no company will succeed for long without good customer service. 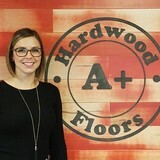 Beginning with the first phone call to our office to the last interaction with our teams, we assure to give uncompromising personal service, our staff is friendly, helpful, and above all, we know hardwood floors. We can help with the simplest sanding job to the most intricate installation, whether you are remodeling your home, building a new one or completing a commercial project. Here at Floor Crafters, with our experienced office staff and skill craftsmen, we make scheduling, managing and completing your project our top priority, relieving you of any unwarranted stress. We believe that communicating transparently with our clients of what to expect during each phase of their project, will create an environment for a successful and beautiful end product. *Authorized Dealer of Shaw Floors* Our 3,000 SF showroom displays Carpet, Hardwood Flooring, Tile and Counter tops. With excellent contractors, we excel in custom bathroom and kitchen remodels. From simple flooring jobs to elaborate remodels, we treat your home like our own. S & S Flooring offers hardwood floor finishing, repair and installation services in the Denver Metro Area. With over 50 years of experience, our floor specialists will complete your home flooring projects with the highest quality workmanship. With our large selection of hardwood flooring and refinishing services, we commit to exceeding your expectations. Our reputation is built on the relationships we build with our clients, and the quality work we provide. ***Installations are only available with flooring material purchased through us at this time. 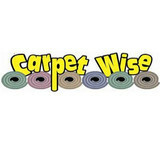 *** Hi, I'm John DeWees, CEO of Denver Carpet and Flooring. My company was started as a company where you, the customer, get the personal attention you deserve and a quality product at a fair price. We pride ourselves on expediting the entire shopping process, providing high-quality material and installations, and making it a very fun and productive process. I promise that I, or one of my dedicated project managers, will come to your home after your carpet or flooring installation and make sure the job was done to your 100% satisfaction. On behalf of my dedicated Denver Carpet and Flooring Staff, I hope to work with you soon and install the best flooring for your Colorado home or office. T&G Flooring is a leading provider of wood flooring products and services. Our Denver designer showroom is located at the International Design Collection at 590 Quivas St Denver, CO 80204. Our new showroom opens in Fall 2017 but we have an informal interim showroom set up in the warehouse at 590 Quivas. Our Evergreen designer showroom is located at The Evergreen Design Center 27965 Meadow Drive Evergreen, CO 80439. Our floors and wood wall treatments can be found all over Colorado's Front Range and throughout the resort mountain communities. Come by and see the finest in pre-finished and site-finished wood flooring! For the highest quality hardwood flooring products and services, the obvious choice is MacDonald Hardwoods. We not only sell and install hardwood flooring, but we offer resources for those do-it-yourself-ers. We offer premium hardwood flooring to fit every style and taste for both residential and commercial installations. Complete the FREE ESTIMATE FORM on our website and one of our hardwood flooring experts will contact you. Or call us at 800.639.3006 or 303.825.3006. Footprints Floors provides beautiful, high-quality hardwood flooring, carpet and tile for Denver, Colorado Springs and across the front range. 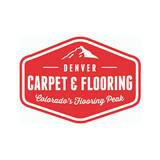 We install hardwood, carpet and tile floors Denver and Colorado Springs residents love. Our name represents our total commitment to natural products and fantastic customers. We’re a step above the rest; and over the years have quietly become one of the largest hardwood flooring companies in Colorado. We specialize in staircases, baseboard installation and refinishing, carpet installation, and stone and tile floors. Our rapid growth is due to our complete dedication to providing outstanding flooring choices. Not to mention doing what’s right by every customer we serve in the Denver Metro and outlying areas. Great floors and great impressions are what we’re all about! Chris Brandt has owned and operated the business since it began in 1999. We strive to make customer satisfaction our main goal. By providing a high quality product, professional courtesy, and a “whatever it takes” attitude, we have developed a healthy list of references and satisfied customers. Our belief is: a happy customer is a repeat customer and a great referral source. Being owner-operated, each job becomes an art project and a source of pride and ownership. One of a Kind – Wood Floors is a registered trade name, a member of the National Wood Flooring Association, and insured and bonded. We provide free estimates, and current copies of liability insurance and workmen’s comp. upon request. What kinds of services do hardwood flooring installation professionals in Westminster, CO provide? Find hardwood floor experts in Westminster, CO on Houzz. Search the Professionals section for Westminster, CO hardwood flooring installers and dealers or browse Westminster, CO photos of completed installations and look for the professional’s contact information.